Get high with MIX at the kickass new cozy cocktail casita on the 5th floor rooftop of the Drury Hotel. Bar Alto hosts MIX this month with a heated outdoor menagerie of movies, music, mixed drinks and, of course, mind lifting mingling. But first, join MIX for a special event – a panel discussion unlocking the wisdom of women entrepreneurs. Hosted by Mayor Javier Gonzales and made especially for TV by producer Cristina McCandless, the panel will look at why Santa Fe was recently named as the top community for women owned businesses and Mayor Gonzales will be joined by some of our superstars:Kimberly Corbitt of Pharma Connect Express, Jane Hill of Cybermesa, Kate Kennedy of Skylight, Erin Wade of Vinaigrette and Modern General, Leah Chavez of Peaceful Pet Sitters, Lyra Barron of Fruit of the Earth, Nicole Ammerman and Susan Curtis of the Santa Fe School of Cooking plus Andrea Romero of Tall Foods. Arrive at five to work out your commercial conundrums and then stick around to watch the city come alive. Be amazed by the Drury Hotel’s ambiance and city overlook and get energized by effervescence of the carefully curated craft cocktail culture at Bar Alto. Your first cocktail is courtesy of Christus St. Vincent, which will have staff on hand to help out with healthcare.gov sign-ups for all you procrastinators out there. To ensure your drink is free, fill out our survey in advance (https://mixsantafe.com/survey). 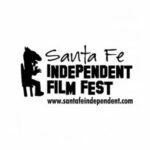 Focus on your film fetish by frolicing with the Santa Fe Independent Film Festival–laying out discount tickets and giving you the local’s low-down on fresh films. And help us decide which cult flick to stick on screen at the Lensic after next month’s MIX event in a crowd-sourced cinema showdown that you won’t soon forget. How important is it to you for MIX to have regular events? What's the ideal interval for MIX events to you? What makes you love a local bar all through winter? 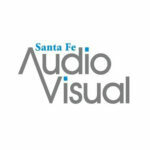 Do you, your family and/or friends think about having staycations in Santa Fe? How do you most often watch a film?